Owwww! This is such a funny idea. Your characters are great. 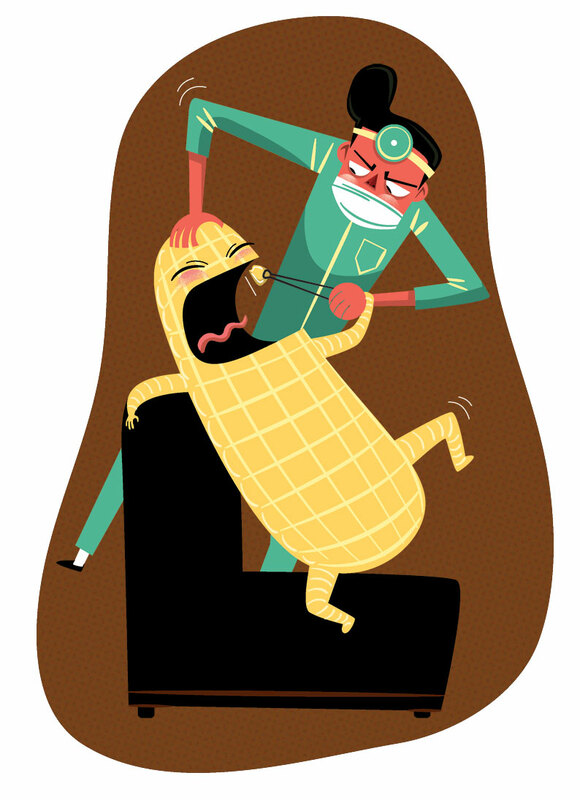 I love the corn’s hand clinging onto the dentist. Great idea and great illustration! What a fun illustration! That dentist looks scary!